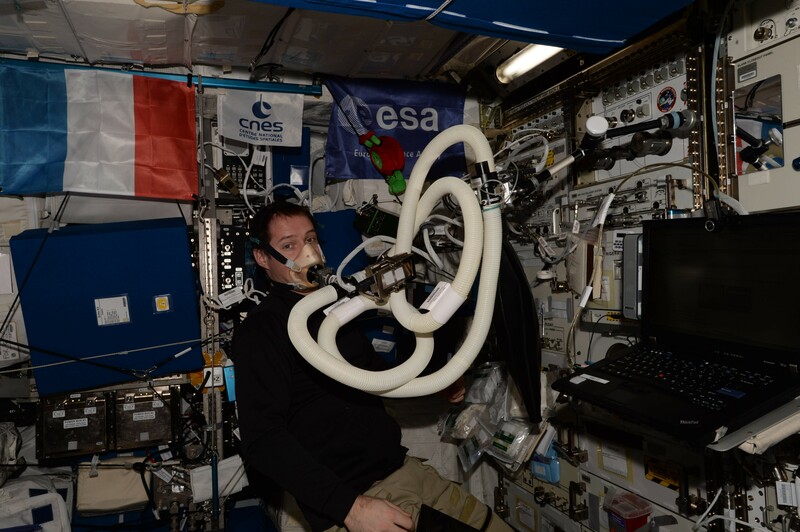 For 11 days Thomas is taking part in the ENERGY experiment that looks at the energy expenditure of astronauts during a long spaceflight. It is a complicated experiment that started, before Thomas’ spaceflight and will continue when he is back on Earth. during and after flight. 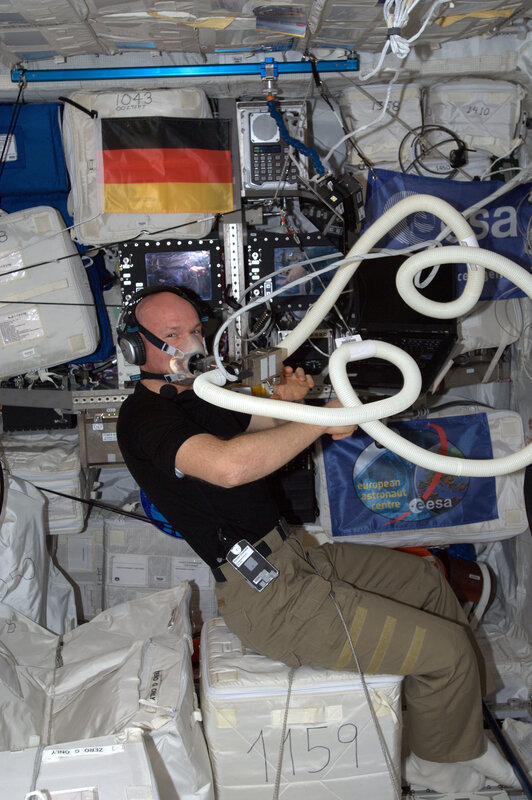 Many physiology experiments run like this so researchers can record the differences between living on Earth and in space. The space-part of this experiment lasts 11 days. Thomas has to eat a specific menu for the first two days of this experiment and then for the next nine days register everything he eats with bar codes so scientists know exactly what he eats. Although his two-day diet is very strict, the meal was created by France’s space agency CNES and the Alain Ducasse Formation together with the researchers at Institut Pluridisciplinaire Hubert Curien. 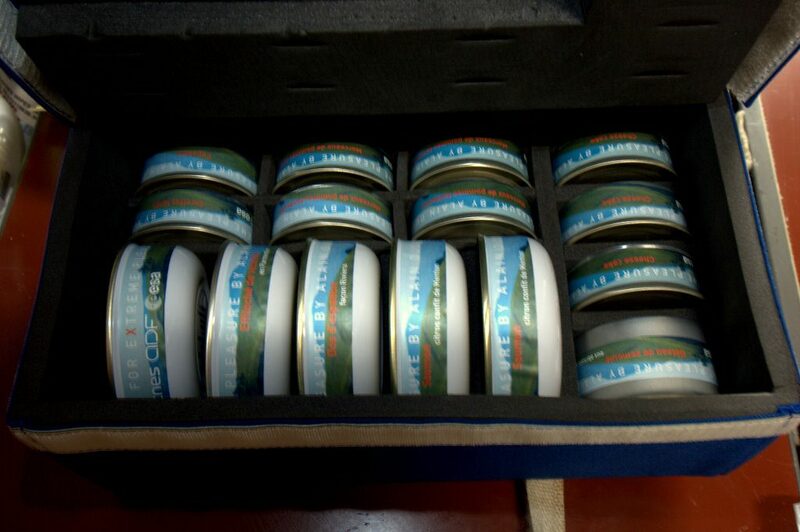 The meals include Brittany lobster, duck breast, egg cocotte and beef Bourguignon. After the two-day planned diet Thomas can eat as he pleases but must record every single item so his calorie intake is known. In addition Thomas will drink water with deuterium isotopes and regularly collect water and urine samples. The isotopes allow scientists to examine how the energy levels change over 11 days. A third part of the experiment sees Thomas wear a mask that measures the amount of oxygen absorbed for 20 to 50 minutes at a time. The machine is in the European Columbus laboratory and during the session Thomas is not allowed to move but can watch a film or read a book. Lastly all Thomas’ movements are recorded during the 11-day experiment using an ‘activity monitor’ placed on his upper arm. 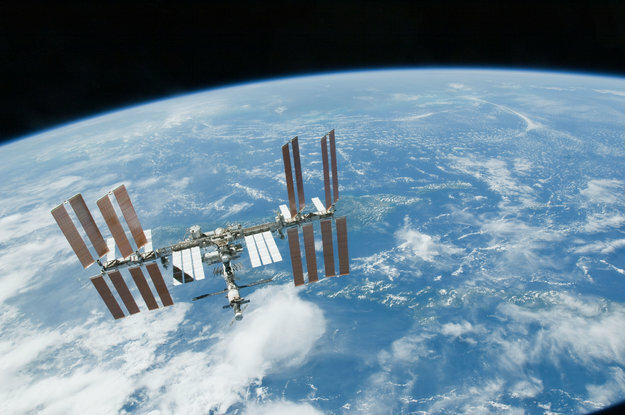 Scientists working on the ENERGY-experiment want to know how to feed people on long missions in space. Packing your bags for a voyage is always a head-ache, you don’t want to take too much stuff, but you don’t want to forget anything either. 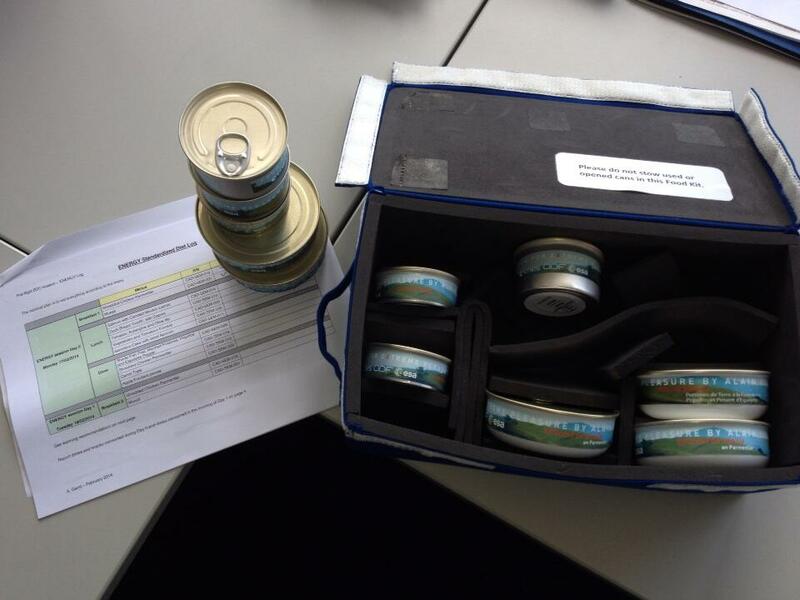 Imagine having to pack enough food to last 18 months! 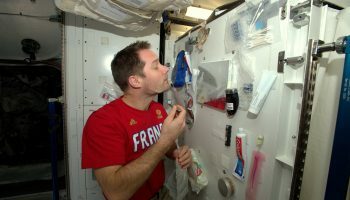 Packing less food will be cheaper and allow for more experiments but you don’t want an astronaut to run out of food half-way back home. The experiment with Thomas ends on Saturday, but Thomas is just one test-subject, the more data the better for the researchers. ENERGY has been running since 2012 with ESA astronaut André Kuipers being the first to take part and Thomas is the 10th astronaut to contribute. Et bien quel programme! Je te souhaite bon courage pour ton régime alimentaire très surveillé ainsi que ta mission spatiale. Juste une petite question n’ayant rien à voir avec ton post mais passerais tu à tout hasard au dessus de la Louisiane (USA) j’aurais aimé voir l’embouchure du fleuve Mississippi? Il paraît que c’est grandiose. Bonne continuation à bord et continues de nous faire rêver au travers de tes photos. Le menu est plutot sympa pour un regime 🙂 je reste impressionné par les tests menés en parallèle. J’espère que tout ça vous permettra d’avancer au mieux dans les futurs projets. Le menu est plutôt sympa 🙂 par contre je reste impressionné par tous les tests menés en parallèle, le mot cobaye est bien approprié dans tel cas. J’espère que les résultats vous permettront d’avancer au mieux dans ces beaux projets.